We would like to thank our 2018 Veteran Hills Seasonal Sponsors. 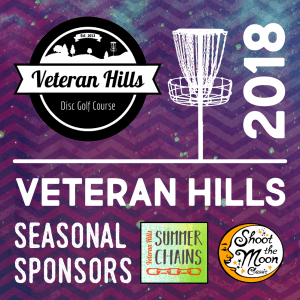 We’re able to hold events all year long at Veteran Hills Disc Golf Course because of the generous support of these sponsors. READ MORE.